In the internet age, there are more and more ways besides going to a land casino to get your needed poker fix. Alongside the advent of online gambling has come the explosion of people playing poker on their phones, on the go and from the comfort of their own homes. This, however, raises the question as to how online poker games differ from live poker games in land casinos all over the world. While the fundamentals of the game don’t drastically differ between live casinos and online versions- the aims and tactics employed are still the same- it can be argued that their essence is very different. Online gambling has been touted by some as being video game like and a virtual reality, despite the fact that real money is gambled, while live casinos are considered by many to be a credible sport and reality. In terms of the professional poker realm, when online gambling first came onto the scene, there was a clear division between those professionals who were online based and those who were exclusively in land based casinos. As some professionals began to cross over from online to live and vice versa, players were in many cases struggling to fare well in the other discipline. Many live casino players who struggled in the online realm suggested the game was not as real and credible as live poker, while online players crossing over tended to struggle with the physical handling of cards and chips as well as the way to behave and the game etiquette in a real life scenario. 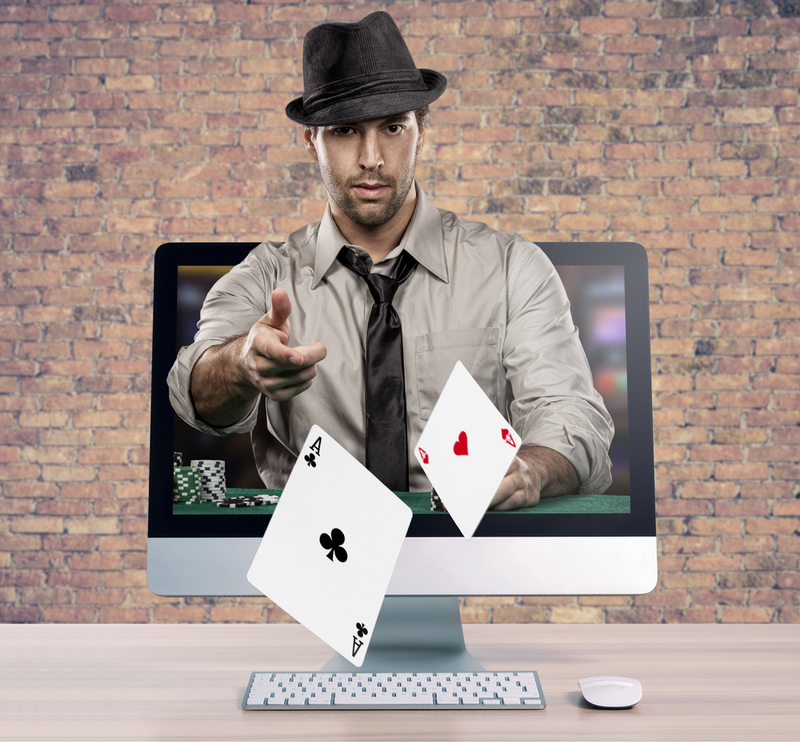 As online gambling has continued to grow and is now a staple of the gambling world, there is much more overlap between online and live poker professionals. Those who do venture into both disciplines, inevitably approach the online and live poker worlds differently which suggests that there are key and nuanced differences between the two disciplines. Firstly, the sizing of bets is a major point of difference between online and live poker games. As a general rule, the bet sizes are significantly larger in live casino environments, with players betting up to five or six times the big blind in the opening preflop raises. With regards to the postflop raises, it is a completely different story, with online players actually gearing more towards larger postflop calls on medium strength cards than typically occurs in the live poker experience. Such decision making has been accounted for by the fact that the tone and atmosphere of online gambling is completely different, with it being suggested that it is significantly less pressure to make a big call online than in a real life and typically tense live casino experience. Another noticeable difference between online and live poker is the age demographic of the players. As might be expected, the online gambling world has a significantly lower age demographic than live casino players, which has a knock on effect on the bet sizes that are inevitably utilised. A younger demographic of players generally cannot afford to make bets of a significant size and money tends to be more valuable to them in this respect. Another aspect of this lower age demographic also effects the way that different people take on their information and learn the various poker tactics required to be a successful player. As such, live poker players, who tend to be of an older age are not as technologically savvy as perhaps the online poker players are and so potentially miss out on an abundance of online poker resources. There are indeed several very useful poker tools and training schemes available online, which an older demographic of live players are potentially missing out on. A noticeable difference between live and online games is that while poker in the internet sphere is at a much faster pace, live games are considerably slower and more time consuming. As a rough estimate while you may be able to get through around eighty hands per hour online, a live game would only get through under half that in the same time, at around thirty. All in all, there is no getting away from the fact that poker is poker and there are a number of transferable and fundamental skills that are essential for both types of poker. There are however a number of key differences of note between the two disciplines, namely the size of bets, different age demographics and the general pace and etiquette of the games can be very stark.